Two Filipino sailors reportedly died of asphyxiation while attending to technical issues inside the coal compartment of their vessel. The vessel, bulk carrier MV Iolcos Genesis, left Singapore Port on May 31. The incident took place on June 2 while Mv Iolocs Genesis was midway on its route towards India’s Gangavaram Port. 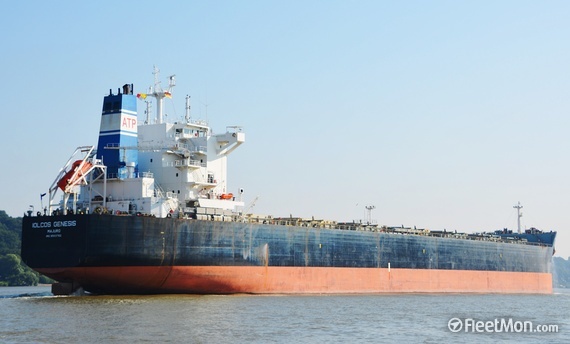 Spokesperson for Gangavaram Port said one of the sailors was identified as Jamisola Antonio Idulfa, who opened the coal cabin with thermometer and entered the hole to find out the coal heat. Inhaling poisonous gases, he died instantly. His associate Cejudo Gerard Centino rushed to save his mate and got into the hole and he too died while trying to save him. The management of the vessel put the bodies in the freezer till the vessel berthed at Gangavaram Port on June 7. The vessel’s agent informed all authorities concerned about the two deaths to police, customs and port well in advance before the vessel’s arrival at Gangavaram Port.